It looks stupid to hold this giant phone near your ear in the street. But it is more stupid if you think this phone is too large, in the future. For the time being, Galaxy Note 8.0 is a good (although not exceptional) 8″ tablet. I am using a Note 8 smartphone and it’s been awesome..its so cool cos it doubles as a tablet and a smartphone. Who says you always have to answer a call by placing the phone onto your ear? 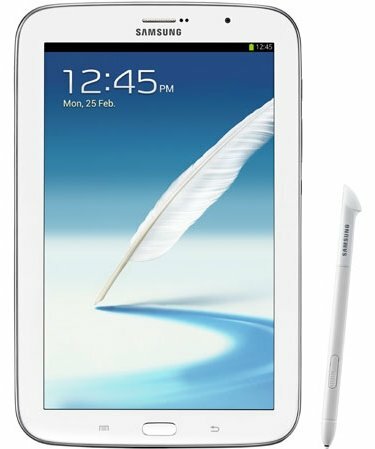 If I had another chance, I’d get a Note 8.0 again. Are the Android apps optimized to run on 8 inch tablets? There are quite a lot apps optimized for tablet in the Play Store. How does the ipad mini manage to run comparably despite having an older processor and 1/4th of the ram.. I got a gift Samsung Galaxy Note 8 from China and I want to make the unit work in US platform (templates and apps are in Chinese)… what is the best thing to do? You just need set the langue top English. If you cannot find the buttons, you ask any Chinese friend to find the button. However, if it is a 3G version, 3G may not work in US. WiFi should work without issues.